I meant to do this post last week as part of Focus on the Magic's theme of the week - Frontierland. However, my week got away from me. But, I didn't want this review to get away from you! 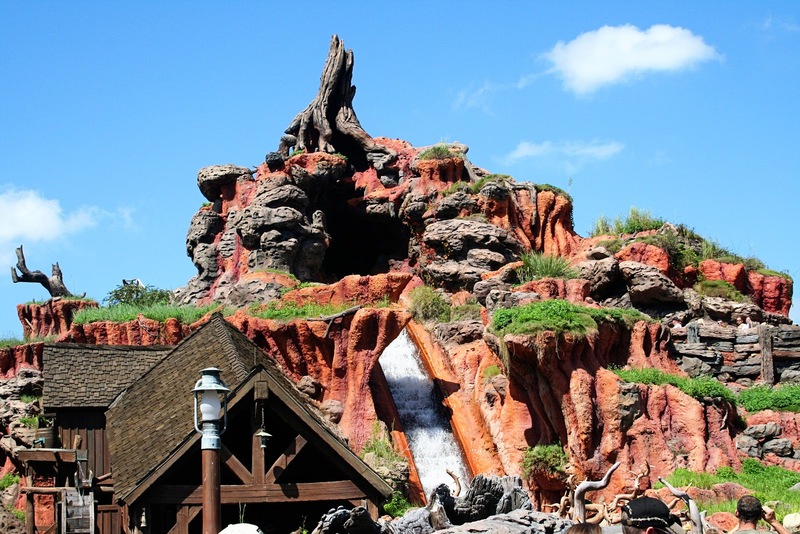 Splash Mountain tells of Joel Chandler Harris' iconic characters - the same ones that can be seen in Disney's "Song of the South" movie. This is not a ride that I like at all. Mostly because I don't want to get wet. But. My children. They enjoy a good soaking. 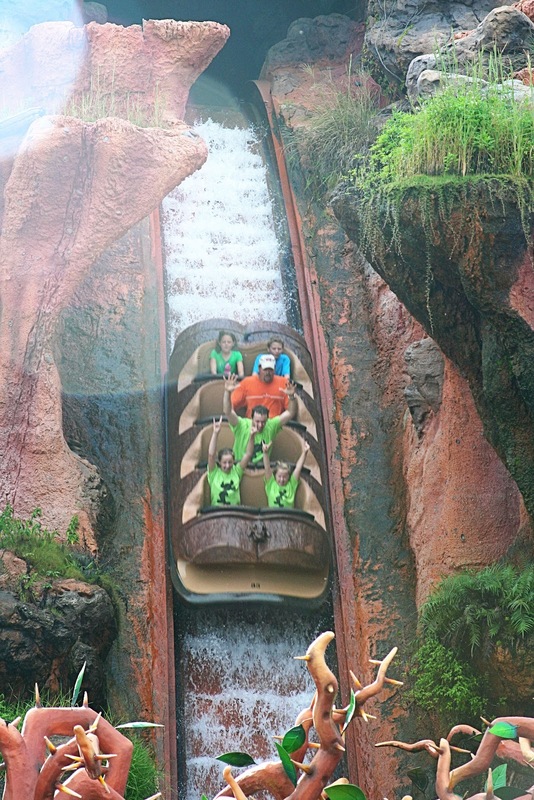 You don't get as wet as you do on Animal Kingdom park's Kali River Rapids - but the possibility is enough to keep me off the ride and enjoying my role as principal photographer. 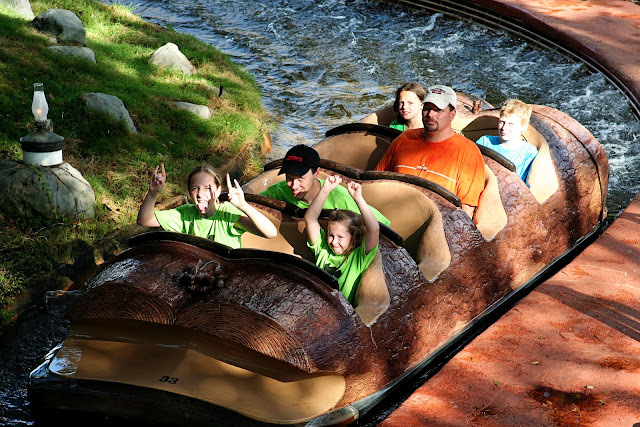 This a ride for kids who like to get wet! 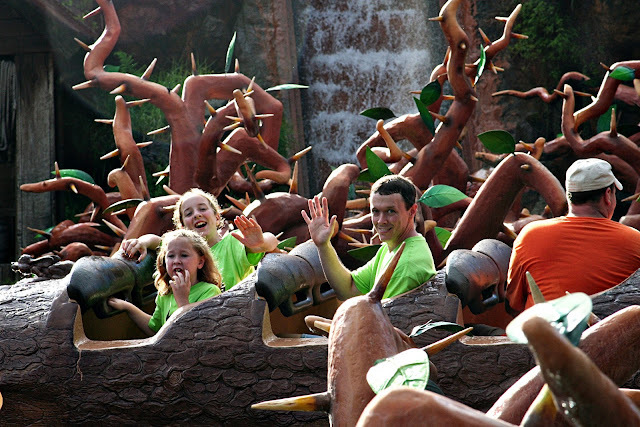 In this ride you go through a briar village, meeting Brer Rabbit, Brer Bear, and the evil Brer Fox. Throughout the ride, you hear Brer Fox's nefarious (can I just say that I love that my 10 year old knows and uses this word?!) plot to eat Brer Rabbit. Then, Brer Rabbit gets captured and almost eaten. You will go down a huge hill. You might get soaked! In the end, Brer Rabbit escapes and Brer Fox eats something else. The line to this ride can be pretty long so be sure to either use a fast pass or try to go earlier in the day. Have fun at "my laughing place!" Because I don't ride, I do take pictures. There is a bridge where you can stand and watch for your family. I have TONS of pictures of other people's families coming down the hill. But I did manage to actually capture mine (though there are many times when I don't!!) - made much easier due to bright green matching shirts. So...what about you? 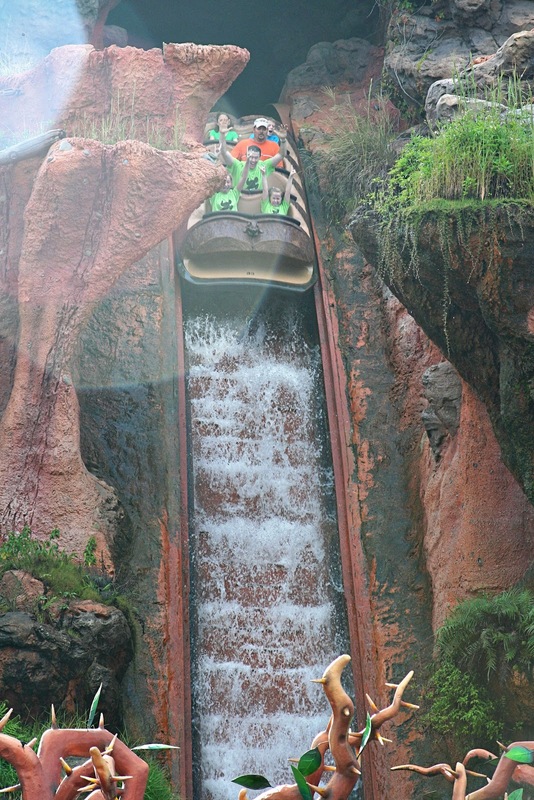 Do you like water rides?